Hi guys! Today I am going to give you the ultimate guide to attacking with Hogs. 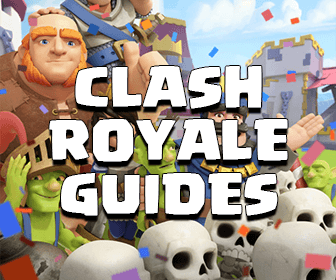 This guide will just focus on explaining everything you should, must and need to know when playing with Hog Riders at Town Hall 8. This guide is from Fireteamsarefun. If you are at a higher Town Hall level, you can read the quick guide for Mass Hog Riders. There isn’t the best army composition. After reading this guide, based on your favorite attack styles and the base you are going to attack, you can pick the best composition yourself. If you are looking for a base to attack with Hog Riders, the most important thing you must consider always be Double Giant Bomb locations so you can prepare and focus on that place when attacking. 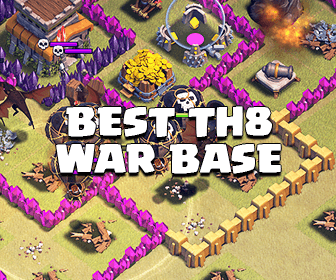 A base is perfect for attack with Hogs If that location doesn’t make sense (outside the base, not between defenses,…). The second thing you must look at is other traps/Hidden Teslas and how they will affect your attack. A base with well-placed Spring Traps and trap Hidden Teslas can even take out a half of a Hog Rider army. If you see small empty spaces in the base and think those can be Teslas, regard them as other defensive buildings and predict how they will affect the pathing. Spring traps usually be placed between defenses. Always watch out for those spots and see how your Hog Riders will be lured so you can attack from where the funnel ends, trigger the traps at first. Does that base have exposed Barbarian King? If yes, drop your Barbarian King and some troops to kill him at first then you can save a lot of Hogs further. Does that base have any exposed defenses which are not protected by Air Defenses? Couples of Balloons from Clan Castle can do the job. Although this step is pretty easy but you should always optimize it for the best results of all attacks. Use 1 Giant/Hog Rider to pull troops If the Clan Castle are not placed deep inside the base and doesn’t require a long time to be pulled. Sending 3-4 Hogs to destroy a defense and lure out Clan troops at the same time. Normally 4 Hog Riders can always destroy a defense but sometimes with low level defense 3 Hogs are enough. I usually use this method to lure Clan troops out because It can also aid pathing of the main Hog army. Sending 6-8 Hog Riders into the base to lure, take down 1-2 defenses and accomplish eliminating Giant Bobs at the same time. The ideal base to do this is the one which has 2 side compartments, 1 has 1 GB and the another side has 1 DGB. If you go with this method, you should bring clean up troops to deal with the time. The Witches can be very useful with Hog attacks but you must know how to use them correctly. You should drop them at the corner so the Witches will have space and time for calling Skeletons to distract the enemy Clan troops and your Wizards will not be hurt when attacking from the back. You can bring couples of Barbarians and drop them right after the Skeletons. Once the Skeletons are all die, the enemy Clan troops will attack the Barbarians behind and your Witches will have time for calling their babies again as well as your Wizards will be still safe. 4 Wizards are always sufficient to protect the Witches. After luring out the Clan troops, drop some Barbarian to distract them and drop your Clan Castle and then couples of Barbarians right after the Skeletons. Spread your Wizards/Archers when your Barbarians and Skeletons start attacking the enemy Clan troops. Don’t forget to drop a to slow down and drain their health. Asian Wall: Drag your Hogs in a line and then attack from a side. The advantage of this style is that it can take down all initial line of defensive buildings quickly so you can drop your Healing Spells inside the base to cover the whole base and reduce the risk when facing Spring Traps. The disadvantage of this style is that it is pretty difficult for beginners to track the Hogs during the attack and choose the best place for drop Healing Spells since they are all spread out. Surgical: Sending 3-4 Hog Riders for every single defense to quickly eliminate defenses. Surgical Hogs works much better than other ones because it can minimize the risk of losing troops when hit Spring Traps or Double Giant Bombs since Hogs don’t stick a lot together. Once you are pretty familiar to your Hogs, this is the best style for you. All bases with point defenses on the outer ring or spread out bases are ideal for this style because your Hogs will not need to deal with a lot of defenses at a time. Foremost, make sure that you have killed all Clan troops because they can ruin all Hog attacks anytime. After scouting, find the best areas where you will drop all the Healing Spells or at least your first two spells. Once you deploy all your Hogs, the only thing you need to focus on is the placements to drop Healing Spells. Although Hogs are quite soft but they still have a decent amount of HP, don’t rush but also don’t hold the Healing Spells too long. Watching replays are the best way to have important experience with Healing Spells. You can see how to drop them, which one works, which one doesn’t works via replays obviously. I have seen plenty of failed attacks and just because of an useless Healing Spell drop. Pay attention to every Healing Spell. If a small Hog squad leaves your main army, just let them die. You shouldn’t care about some individuals and ruin the whole attack. Keeping the Healing Spells for the main group with 20+ Hog Riders is much more important. If you can’t use your Barbarian King at the early of the attack such as killing the enemy Barbarian King, using him as a tanker for your Hogs is always a nice idea. Hope you can bring lots of more 3 star wins for your Clan with Hog Riders!